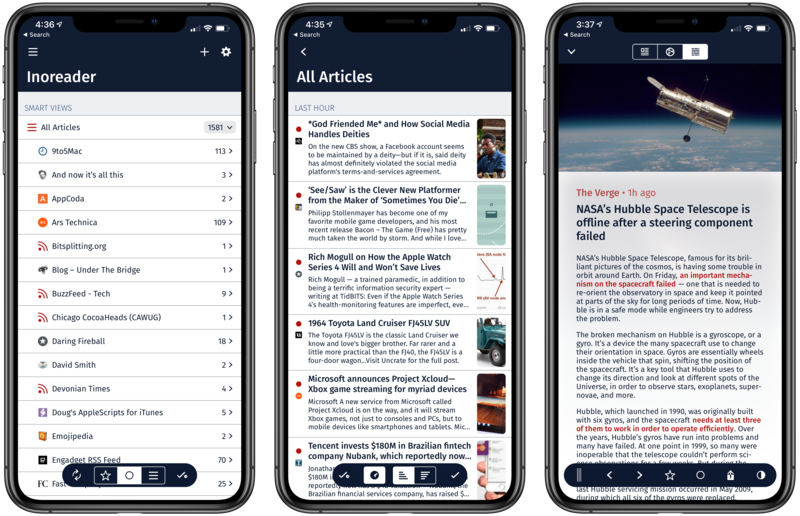 There are a lot of good RSS readers on iOS that are continually being updated with new features and other improvements. It’s a competitive category, and Fiery Feeds, which is one of my favorites, was just updated with a focus on design and new ways to filter the feeds you follow. I like the design changes to Fiery Feeds a lot. Everything is bolder and easier to read than before. The headers of each view reflect the same sort of bold typography found in Apple apps like Maps and Music. Icons are more pronounced, and various pickers in the settings have been updated to make choosing options easier. One of the biggest difference though is to the article view that uses the main image of an article as a header for the story. The top and bottom toolbars have been redesigned too, and article styling can be applied while viewing an article, so you can see the effect of the changes as you make them. Fiery Feeds' redesigned article view (right). Source: blog.cocoacake.net. I don’t like that author information has been turned off by default in the article view though. On many sites, I’m more likely to read a particular author’s work than everything the site publishes. You can still go to the web view to see author information or turn it back on in Expert Settings by long pressing the setting icon, but I’d prefer to see it in every view by default. There are new ways to filter articles too. Fiery Feeds already had Hot Links and Low Frequency smart lists, but the latest version adds Today view of just the pieces published on the current date and Long and Short Reads lists for quickly picking something to read based on length. 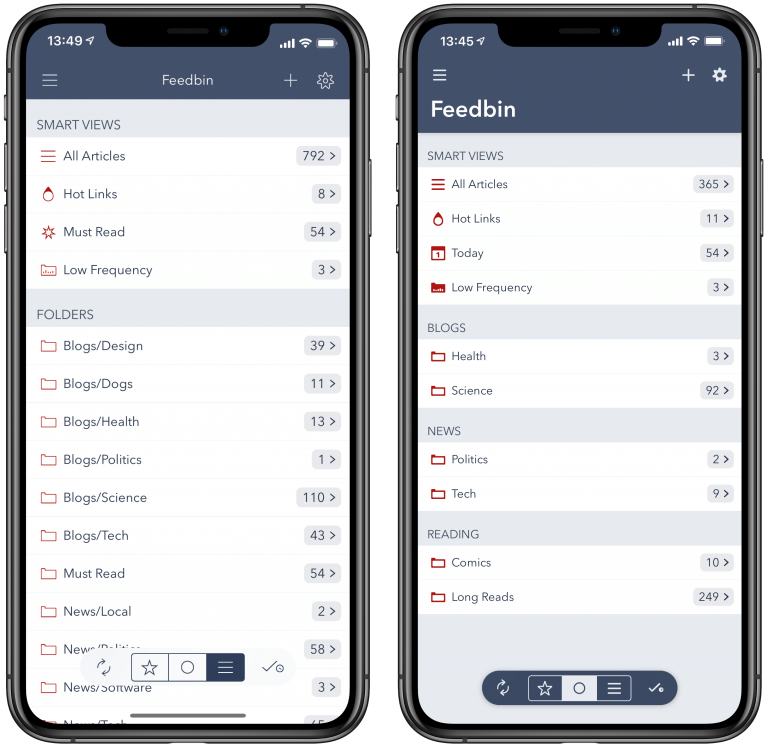 Fiery Feeds also supports Siri Shortcuts for opening accounts like Inoreader, Pocket, or Instapaper, but the support is much more limited than lire’s which lets you open individual feeds, folders, tags, and saved searches. The top RSS readers are updated so regularly that I keep a few installed on my iOS devices at all times. Although I prefer lire, which Federico has covered in the past, Fiery Feeds is a close second. 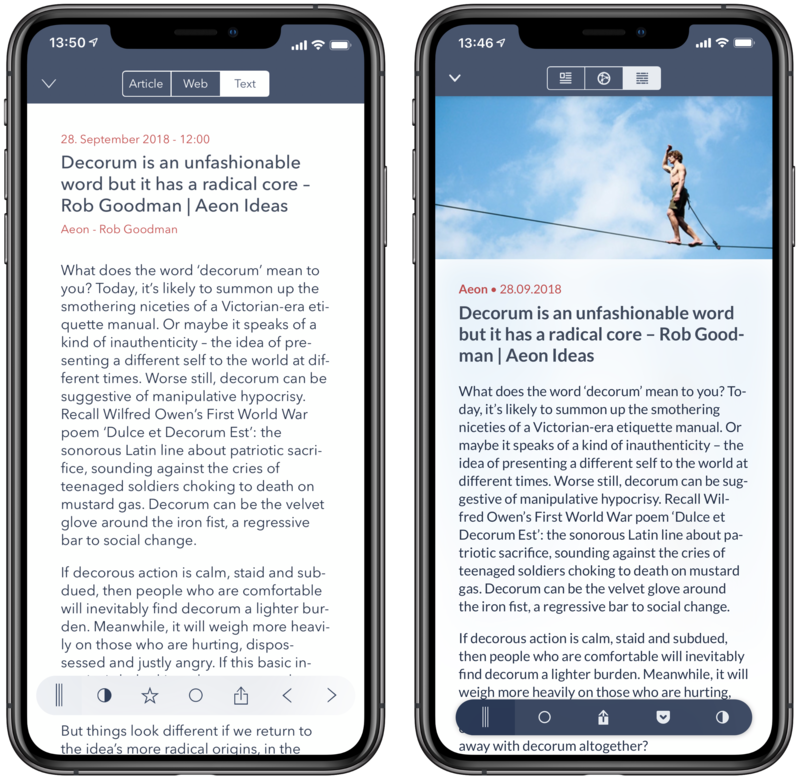 It’s also one of the best picks if you want to combine your RSS reading with a read-it-later service because its supports services like Pinboard, Pocket, and Instapaper, which lire doesn’t. For that reason and dozens of other differences big and small that come down matters of personal preferences and reading habits, I recommend considering Fiery Feeds, if you’re looking for an RSS reader. Fiery Feeds is available on the App Store as a free download, though certain of its features are only available as part of a paid premium subscription.